TERRAIN Approx. 40% Off-road (Day 1), 60% Off-road (Day 2). Option of more Off-road is available for experienced rider. 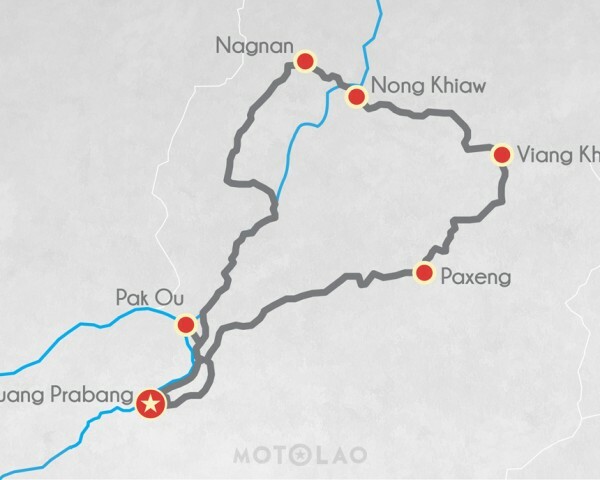 Your motorcycle journey starts in Luang Prabang as you head up north toward Nong Khiaw on extensive dirt and asphalt roads. This is a thrilling ride into the countryside with scenic landscapes. 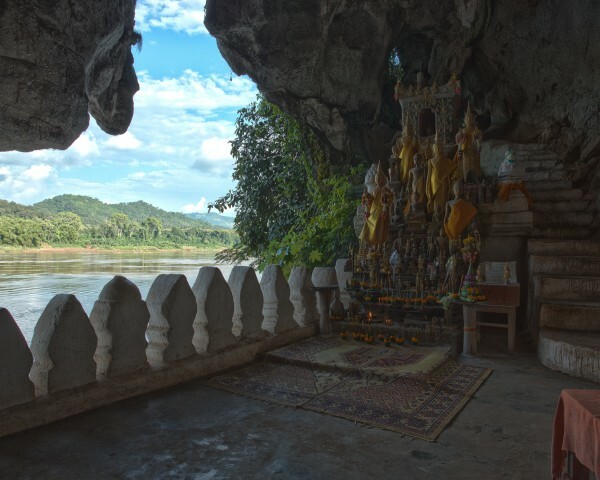 You will get to visit the Pak Ou caves, a historically important site for Buddhism. 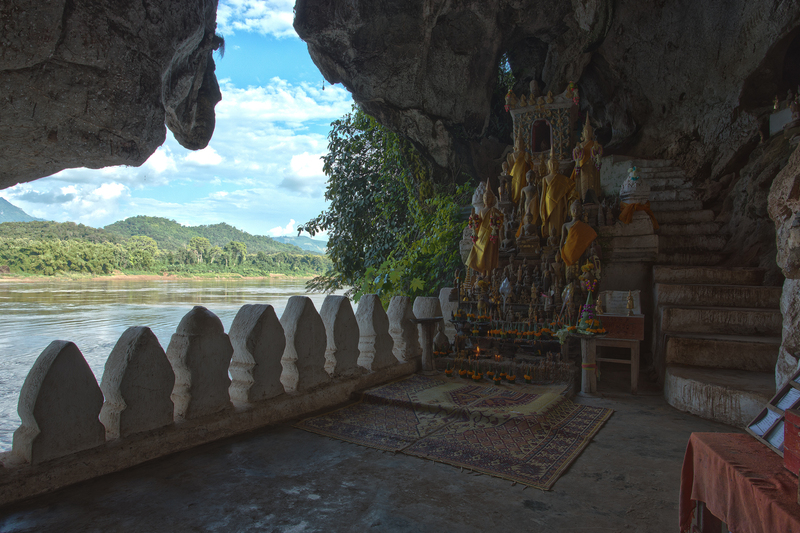 There are more than a hundred tiny of Buddha statues in this cave. The various Buddha sculptures are in positions of meditation, teaching, peace, rain, and reclining. After the caves, Experienced rider will have an option to ride out on your motorcycle toward Pakmong and cross Nam Nga River by bamboo raft to Ban Kokna (Beginner – Intermediate will ride on-road to Ban Nayang). Continue riding to Ban Nayang to observe the continued tradition of silk weaving and silk dying from natural materials. Your night consists of an authentic homestay in Ban Payong with the local family, where you will enjoy freshly cooked Lao food and have a deeper understanding of their unique way of life. If you are not interested in the home stay experience, we can accommodate you in a nearby guest house in Nong Khiaw. 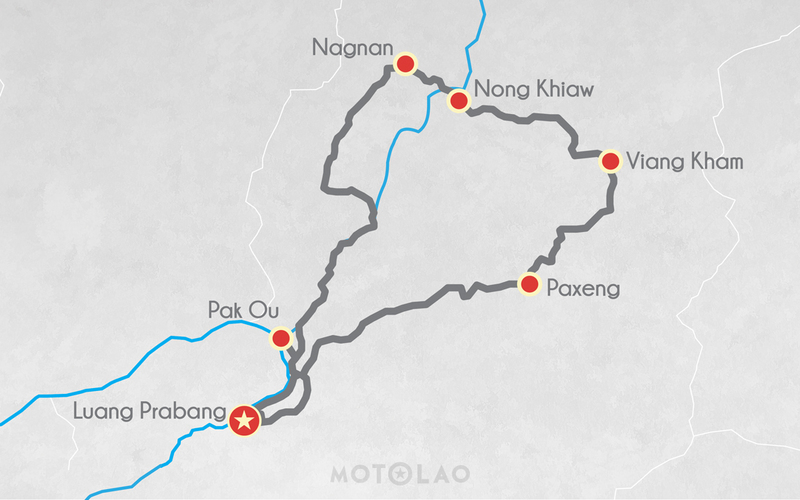 The next day of your motorcycle journey involves riding out on scenic mountain ridges from Nong Khiaw. You will pass along winding roads near the Nam Ou River. 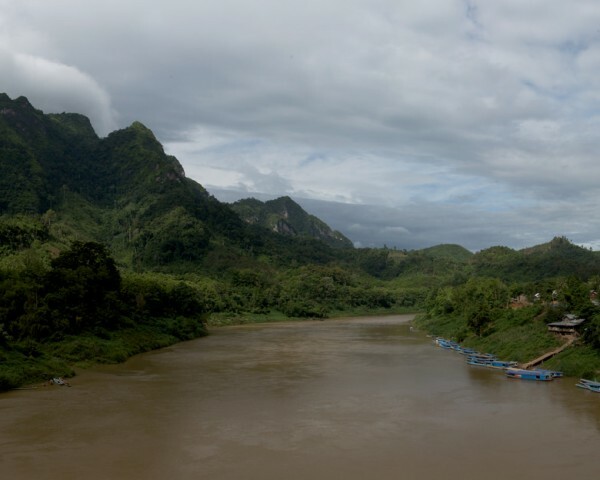 The Nam Ou is one of the most important rivers in Laos that runs from the northern province of Phongsaly to Luang Prabang. You will pass by open farmlands and plantations on your journey through villages back to Luang Prabang.